Discover the brief history of the analog clock hands! 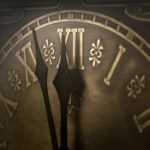 When were the analog clock hands (and for much more) created – as we know them today? Find out with us! Who, amongst clock lovers, has never wanted to have a fully customized watch? A wrist one or a wall one, a pendulum or a simple alarm clock, our team is able to create customized watches for every taste, with particular attention to the clock hands – our specialty! – thanks to the experience gained in over thirty years of activity! The two main types of clock, analog and digital, are characterized by a different time display. While in the first case the representation is continuous, marked by the movement of the hands on the dial, the second only shows the actual time through the use of numeric symbols. The analog clock is characterized by the presence of hands, usually three: one for hours, one for minutes and the last for seconds. However, it is not unusual to find an analog clock with only two hands, used to mark hours and minutes. If at the beginning the clock was a mere tool for measuring time, it has evolved today, becoming a true status symbol. The term “lancet” comes from the Latin lancea – in the sense of “sharp tool”; in the case of other measuring instruments it’s more properly called needle (eg magnetic needle). In the most archaic time measurement systems, the functional element was also the visualising system of the measured magnitude. The shortening of the length of a candle, for example, is at the same time a direct index of the time elapsed. Therefore, the information displayed is obtained by analogy with the information produced by the physical phenomenon – from which the analog term. With the sundial the concept of dial was born – the panel equipped to highlight the reading of the clock. With the advent of mechanical clocks in the Middle Ages (but already with water hourglass with indicator, dating back to the ancient Egyptians, up to the pendulum clock), the use of the clock hands display system becomes natural. In the most popular version, two or more indicators, generally tapered/elongated, rotate over a scale where the hour, minute, and second measurements are engraved. There are (or there have been) clock hands systems different from the usual one. In the first watches, a single hand was used, and time fractions could be deduced from the position of the pointer between two notches of consecutive hours. In other watches there are hands whose end does not rotate circularly, but moves backwards and forwards along an arc. The controlled clock also has the ability to mark hours, minutes, and seconds on individual independent dials. Our passion for watches translates into the creation of personalized clock hands that can satisfy all tastes. Aluminum or plastic, for pendulums or for alarm clocks, our hands will make your analog watch something absolutely unique!